CES is so much fun! There are seemingly endless venues and halls with everything from record players to autonomous vehicles. There's so much to take in, everywhere you look. For a truly unique experience, I have to say that walking through Central Hall at the Las Vegas Convention Center (LVCC) is simply amazing. It is absolutely mesmerizing to see the grand displays of technology that encompass this most exciting hall of the show. Whether it's your first time through the hall or your hundredth, a true tech junkie can't help but almost feel giddy when surrounded by all of the lights, sounds, and displays. Once some of the initial shock and awe start to settle in, it's always so nice to visit those friendly faces at the booths in which we have developed a relationship with over the years. One of these companies for us is, without a doubt, TCL. From their press conference that kicks off the week on Monday at Mandalay Bay, to their booth at LVCC, we thoroughly enjoy our experience with them, every single year. We were fortunate to meet up again this year with our friend, product evangelist, Bruce Walker. While we were perusing through their array of television sets, Bruce spent some time with us to discuss some of the newer technology that will be coming out soon. As was a common theme with most of the larger television vendors here on the show floor, 8K technology is ramping up for what appears will be a huge explosion into the market and our media rooms. And it probably goes without saying that the demos on the floor were quite impressive. TCL is leading the way with bringing this new tech to us in a responsible manner. 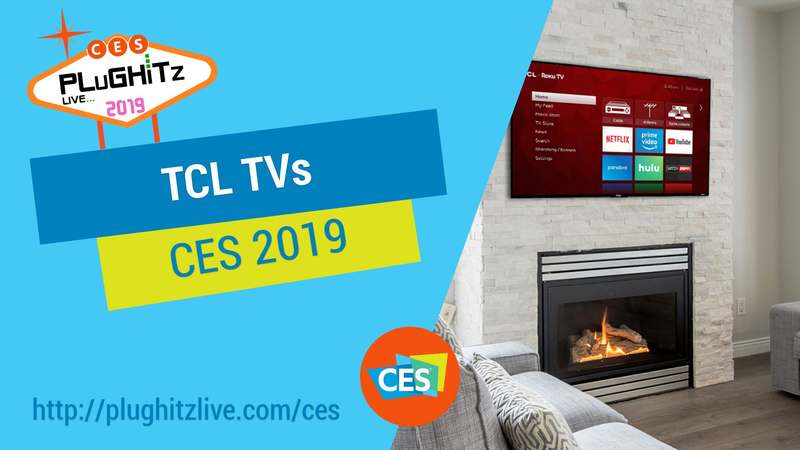 They are not trying to merely hit the market with these new sets, they want to make sure that their customers get the quality that they deserve from the number two retailer of television sets in the US in 2018. As we all know, just throwing together an 8K set is not enough because when they hit the retail stores, there will be extremely limited content actually available in 8K. That's why they are including an up-conversion technology that will be able to handle the existing, lower resolution content and give you the best picture possible. Also coming up will be an enhancement to their Roku sets. Not only will they continue with this feature built right in, but it will be Smart Roku, connecting to other smart devices in the home and with voice recognition that will know your voice and interact with you conversationally with its four built in, directional microphones. It will be simple and easy to use. You'll have a hard time deciding if that is your favorite feature or the 33 million pixels that offer up to a 300% improvement in picture quality.